Education: A bachelor's degree in a pharmaceutical science or related field from a recognized university. Duration of contract: One year, first yeat probationary period. POST OF LIMITED DURATION. 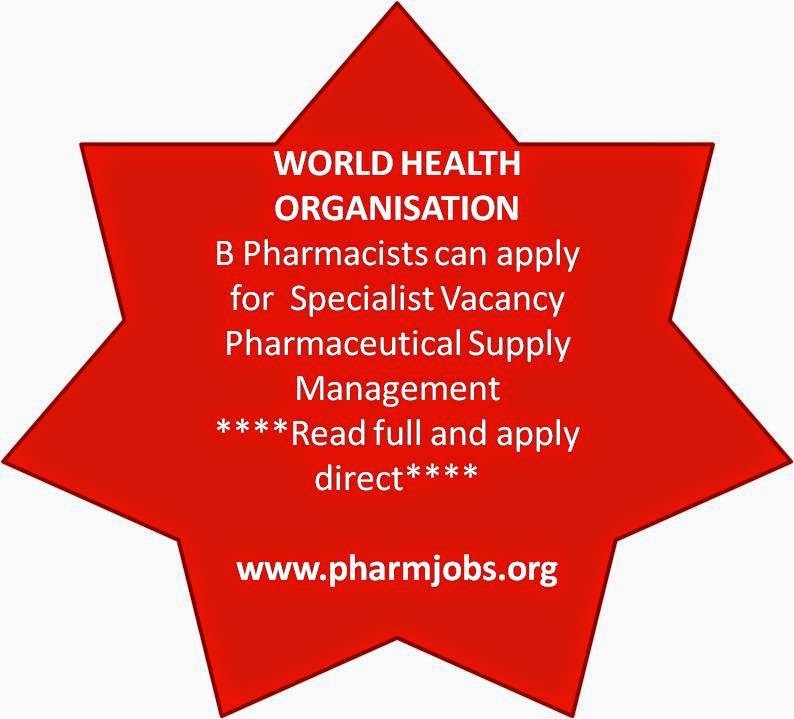 "Five years of combined national and international experience in programs or activities related to medicines management, including specific experience in the development and implementation of logistic management, and in the development and implementation of logistic management information systems (manual, computer based and on-line) from primary data collection at the periphery to the preparation of reliable national average consumption reports crucial for national medicine forecasts."